Mary Ellen Langley was born on November 1, 1956, in El Paso, Texas. She passed away on August 14, 2018, in Mesquite, Texas, at age 61. Among many hobbies, Mary enjoyed going out to eat and taking trips. She loved to talk and was full of energy. She also delighted in watching butterflies and collecting salt and pepper shakers. At the time of her transition, she had collected almost 1,000 shakers. Mary never complained, and she had a loving and giving heart. She will be dearly missed by all who knew and loved her. Mary was predeceased by her father, Felix Martinez. 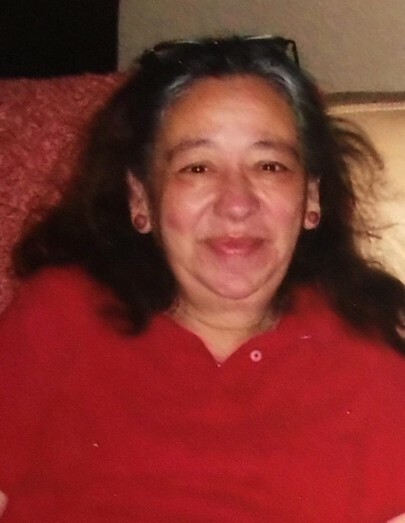 Those left to cherish fond memories include her husband, Harold Langley; children, Elizabeth Huerta and Orlando Huerta (Milvia); grandchildren: Enrique, Jose, and Anahi; mother, Stella Caperton; sister, Dolores Collins (Mike); sister, Teresa Kemp (Donald); brother, Larry Martinez; brother, Armondo Martinez (Robin); sister, Gloria Culpepper (Johnny); and a host of other relatives and friends. Those left to cherish fond memories include a host of family and friends.